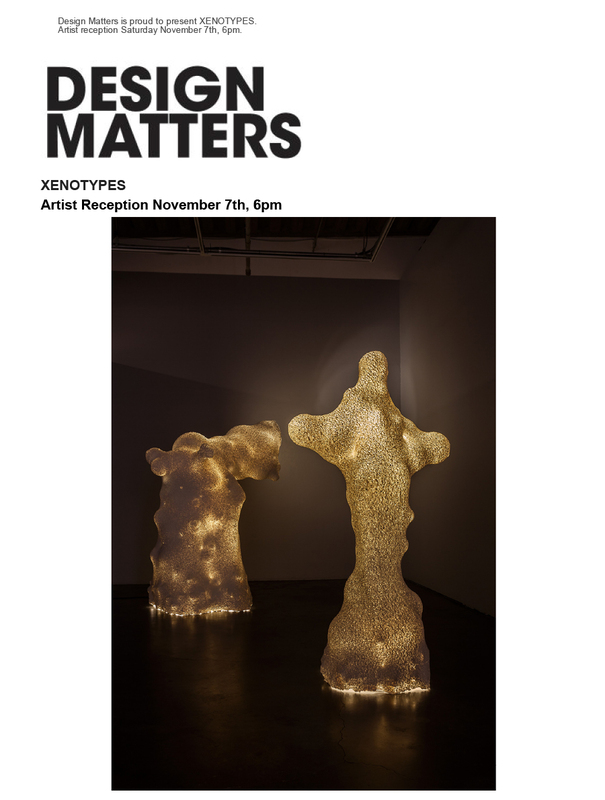 Design Matters is pleased to present a truly unique collection of global designers and artists in it's next show entitled, XENOTYPES. Xenotypes are the prototypical manifestations of specific design processes, where the end is a 'design outside of design' or an alien. 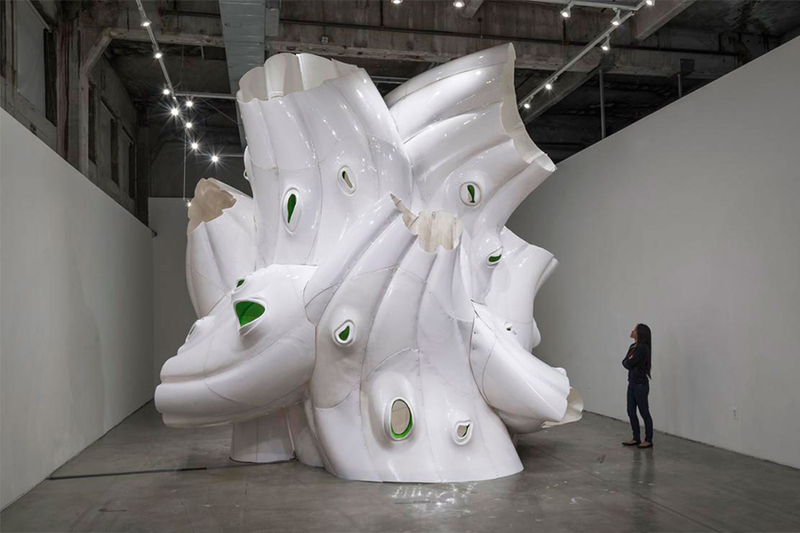 Embracing the unexpected while chasing the different is not necessarily to be understood as a failure, 'trial and error', or variation ~ but rather an unforeseen expression of a genetic driver, built into the possible outcome from the get-go ~ yet outside the realm of the known. These mutants, bastards or xenotypes enter through the back door of imaginative practices; and often tap into an aesthetic of fear.